Do before and after pics motivate you? Sometimes I struggle with sharing mine. When I started my return to fitness after having my third baby, I will admit that I was motivated by the idea of changing the way my body looked and by losing weight. I started consistently exercising again when my daughter was 4 months old. None of my clothes fit properly. I was at least 20lbs away from my happy weight (the weight I can maintain without making myself crazy. For me right now that is around 130lbs). I had a lot of excess fat around my stomach that was not budging. I honestly didn’t feel like myself and I hated the way I looked in pictures. So I was motivated to change the way I looked. But I was also motivated to change the way I FELT! For me exercise has always been a way to boost my mood and energy. It is my daily anti-depressant! Honestly, I am hooked on the endorphins I get from a good workout. I crave them! 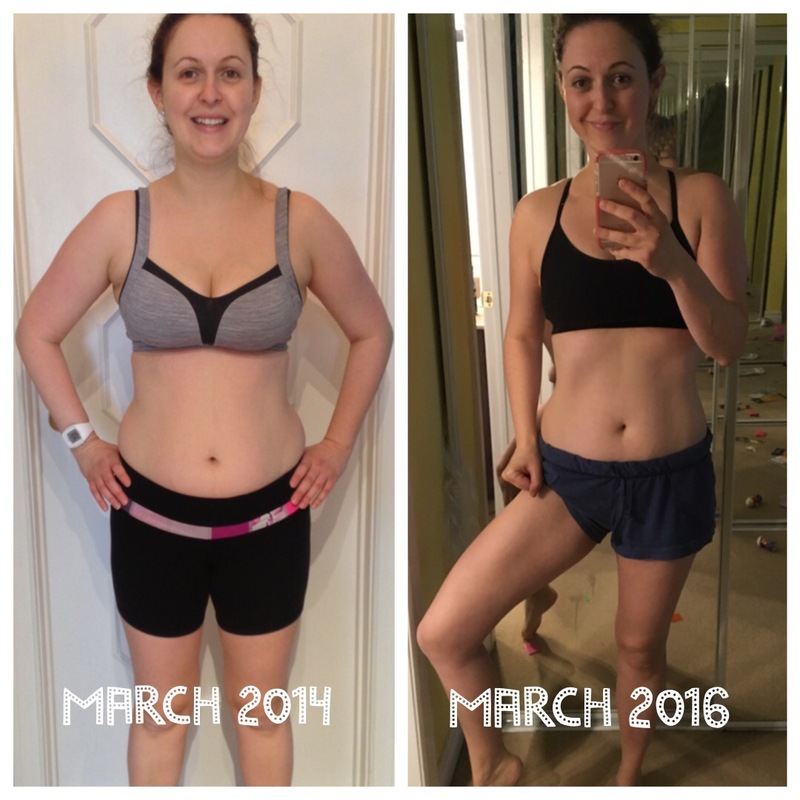 So when I decided to give the 21 Day Fix a try for the first time 2 years ago, I was motivated to change the way I looked and also to change the way I felt. Having three kids was exhausting….I was bone tired at 4 months postpartum… and I knew I didn’t have time to run or go to the gym…but I could exercise for 30 mins a day at home and make some simple changes in the way I was eating. When I share a before and after pic, I am sharing the change in how I look only. You cannot see the feelings behind the pictures. You cannot see how much stronger I feel now. How empowering it feels to be able to do proper push ups…burpees…(assisted) pull ups! You can’t see how tired I was in my before pic and how much energy I have in my after pic. I share my before and after pics because I know seeing other people’s pics motivates me. I hope that my pictures motivate someone out there to start working out…to start eating healthy…to start taking better care of themselves! I know that with time they will come to experience how amazing working out makes them FEEL! I believe that is the key to making exercise a daily habit….focusing on how it makes you FEEL rather than on how it makes you LOOK. In order to keep up with working out…you have to start craving that feeling each and every day. Work out because you love yourself and your body deserves to be treated well! I’m putting together my next 30 day health and fitness challenge. We start April 11th. If you have been wanting to start taking better care of yourself – this is the perfect opportunity! Join our supportive community of women who help each other on their journies towards better health. Be a part of our group – work out every day for 30 mins from the comfort of your home, learn about portion controlled clean eating and enrich your mind, body and spirit! For more info, send me at email at sheryl@ikor.com or PM me via Facebook and I will get back to you ASAP with the details about the challenge. Categories: 21 Day Fix, Exercise, Food, gym | Tags: 21DayFix, mother, postpartum | Permalink. Do you believe people are doing their best? | Sheryl Jesin on Should you wake up at 5am? Yes! How do you wake up at 5am? | Sheryl Jesin on Should you wake up at 5am? Yes! To potty learn or not to potty learn - that is the question!